Ilee Stokes became interested in bowling in 1958, when she joined a league at All Star Lanes, Florence, South Carolina. Ilee has served as President, Vice President and Director of the Pee Dee Women’s Bowling Association and is currently a life member of the Pee Dee WBA. She served as Treasurer of the South Carolina Women’s Bowling Association for eleven years. Before that, she held the offices of First Vice President and Director. Ilee began her career on the SCWBA Board of Directors in 1966. She was elected Member emeritus in 1988. Even though Ilee has spent most of her time working on the administrative side of bowling on the state and local levels, she has had time to achieve a career high game of 258 and high series of 546. Ilee’s highest average is 159. 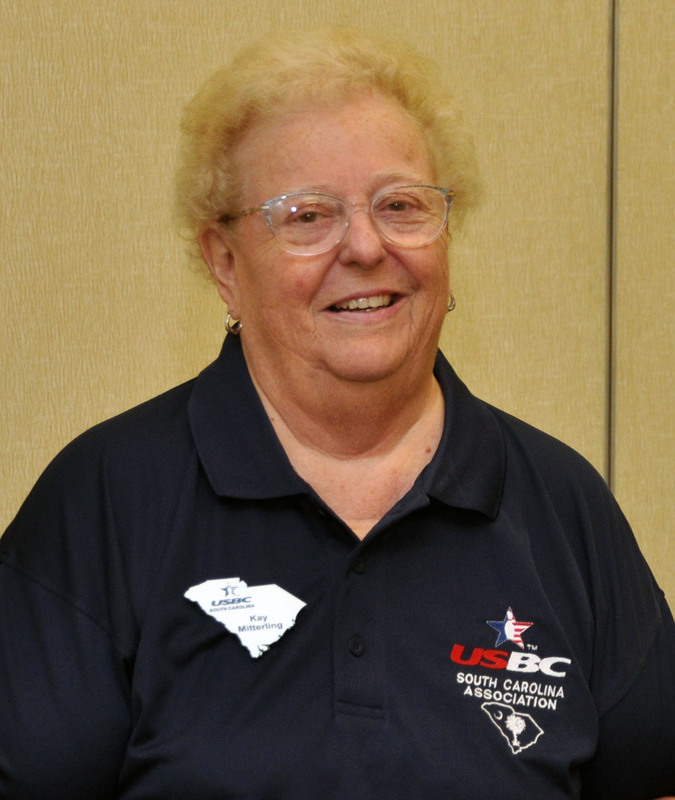 Ilee has attended eight WIBC Conventions and tournaments, many times at her own expense. She served as a delegate from her local and the State Association to some of these conventions. Ilee has participated in twenty-five SCWBA tournaments. Ilee has devoted a lot of time over the years and put a lot of effort into her duties for the SCWBA and the Pee Dee WBA. She has contributed to the SCWBA from the knowledge she has gained by attending WIBC workshops and seminars while serving as Treasurer. Her dedication of thirty-three years of bowling has been an added treasure to her life that has brought meaningful friendships and memories throughout South Carolina. Ilee has had the support and help of her husband and the children, L. H. (Bubba), Kathy, Penny and Karen. Ilee and Bubba have been married for 42 years as of February 20, 1991. Besides their three children, they also have four grandchildren. The members of the SCWBA Hall of Fame are pleased to welcome Ilee as a new member to our group. She has earned her place among the chosen few. ILEE, WELCOME TO THE SCWBA HALL OF FAME!